I just got word that Absinthe Mata Hari got a Gold medal at the recent competition held by the Beverage Tasting Institute, and scored a spectacular 93 point rating. More to come next week. 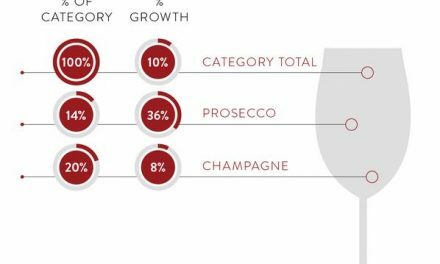 State Tax Rates for Wines in the U.S.
Nielsen Data on Prosecco/Sparkling Wine in the U.S.